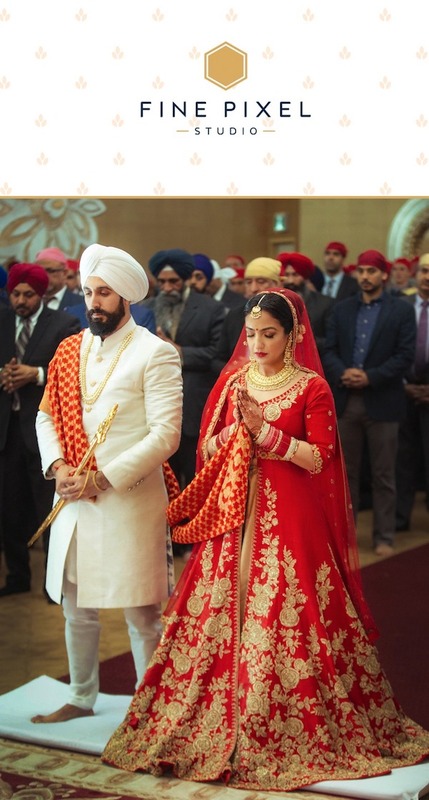 With Toronto leading the world as one of the wealthiest and multi-cultural cities in the world, you can bet it has an equally world-class selection of wedding venues- especially for the South Asian bride and groom. Before getting into our list of the cities 10 best venues for the South Asian wedding, let’s take a few steps back and pay ode to the city of the CN Tower, its love for all ethnicities, and yes (hate it or love it, but).. the city of Drake! What Makes Toronto One of the Best Cities to Tie the Knot? Maybe you’re planning to host your destination wedding in Toronto, or maybe you’re a lucky resident who gets to have their wedding in the same city they call home. Regardless, we wanted to take a moment to point out why this bustling metropolitan is always a good idea. Toronto is the biggest city in Canada and the 4th biggest city in North America. That means you get all of the ‘big city’ perks like cuisine options, lots of attractions and an infrastructure that can support your big fat Indian wedding, and then plus some! World-renowned for its multicultural feel, the city’s population is made up of 51% minorities, and get this- 70% of that is Asian! So, it feels a lot like home. Toronto recently ranked as the 13th wealthiest city in the world. That means that getting your guests to ‘ooh and aah’ at their surroundings has never been easier. With wealth comes plenty of opportunities to live that decadent and luxurious lifestyle, even if it is just for the wedding week. Not only does Toronto have ethnic neighbourhoods within the city itself (hello Little India! ), but the Greater Toronto Area is packed with suburbs like Mississauga, Vaughan, Niagara and Brampton that all come with their own charm and are conveniently accessible via public transport or car. Anyways, all of this to say it’s easy to see why so many brides and grooms choose Toronto for their wedding. If anything, the hardest part about picking Toronto is probably the predicament of too many choices! To do our part in helping with that, we’ve broken down our list of the cities top 10 venues into the categories of Luxury, Larger-than-Life, Unique, and Outdoors. Plus, we found these venues based on recommendations, reviews and of course, their suitability for both the modern and the traditional South Asian wedding. Made for the finer things in life? Keep reading for three venues that will keep you and your guests in awe of the location, the luxury and the grandeur. Love fairy-tales? Want your wedding to be a royal affair? Then this one might just be for you. Casa Loma is literally a castle on top of a hill. It’s architecture is so beautiful it’s unreal, and as-if to keep the fairy-tale daydream going, the grounds also includes several stunning grounds. 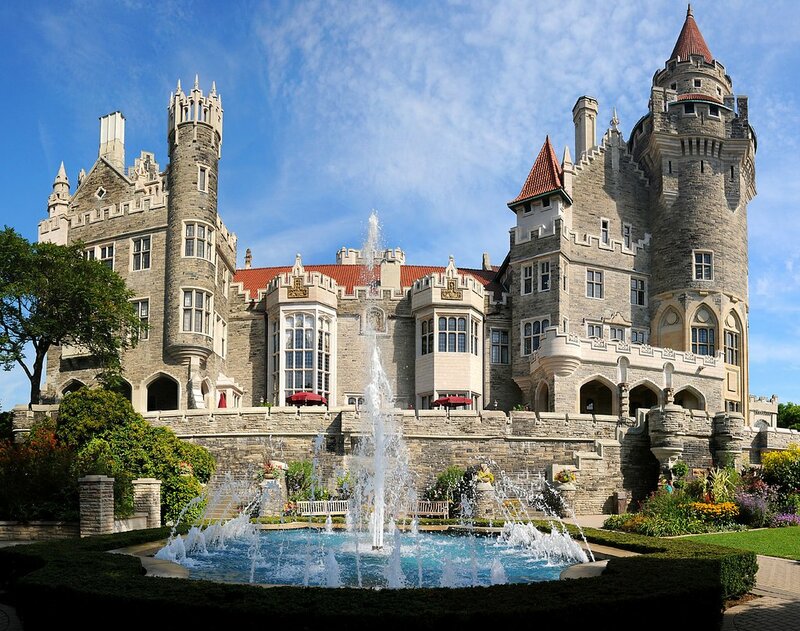 Needless to say, Casa Loma is perfect for the bride and groom looking to play King and Queen for the day in one of the most spectacular and picturesque areas in the city- if not the country. In fact, it’s so renowned for its beauty that several productions such as Harry Potter and Beauty and the Beast have used the venue as a film location. Explore more of Casa Loma for your wedding, here. I know what you’re thinking and the answer is, yes, Shangri-La is really as fancy of a venue as it sounds. This hotel is in the heart of downtown Toronto and offers everything from tea-time to world-class fitness and the utmost convenience of an ideal location. The hotel has a team of dedicated wedding specialists to help you design your wedding whether it’s a one-day affair or a week’s worth of extravagance. Featuring luxuries like a renowned spa, Asian themed decor throughout and a chic ambience, Shangri-La may cost a pretty penny, but you’ll be hard-struck to hear any complaints about the service, comfort and splendor. Explore more of Shangri-La for your wedding, here. 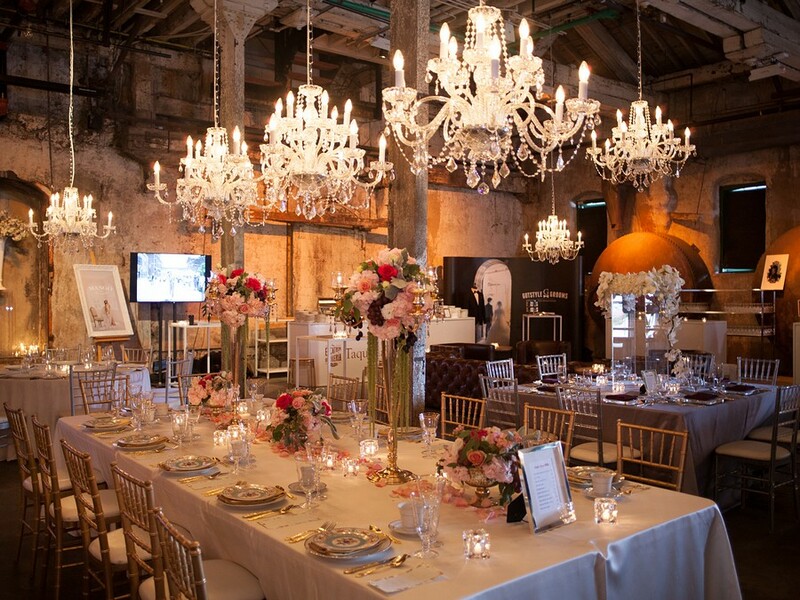 Located in Toronto’s charming Distillery District, you will find a diamond in the rough, the Fermenting Cellar. This venue is definitely the underdog among the wedding spaces that are considered ‘luxurious.’ But while it’s still in the up and coming, its intimate atmosphere and undeniably gorgeous decor definitely make it a worthwhile addition to the list. The Fermenting Cellar feeds off the European charm of the Distillery District (the cobble stone pathways and all) and welcomes guests into a completely different world upon walking into the venue. The luxury of the Fermenting Cellar is in its prime location, in the contrast between its decor and its industrial structure and of course, the service. Explore more of the Fermenting Cellar for your wedding, here. So, what kind of large are we talking about here? Size, of course! I mean with some Indian weddings racking up attendance in the thousands, you didn’t think we wouldn’t consider capacity, did you? These three wedding venues accommodate larger crowds than your average banquet hall. Right out of the gates, let me say this: this venue is technically in Brampton. Which, to be fair, does fall within the Greater Toronto Area (and chances are, we all have a few relatives that live there anyway). Okay, with that out, let’s talk about what makes Grand Empire list-worthy. Hosting up to 1,200 people, this fairly new venue hosts more South Asian weddings than it does any other kind. That gives you the benefit of highly experienced and trained staff to accommodate the rituals/traditions that you may otherwise have to explain. And, if you read the reviews, outside of the impressive 25,000 sq footage, people also rave about the Indian cuisine and the built in theatrics (hello state-of-the-art sound system!) that we’ve learned to love and expect from receptions. Explore more of Grand Empire for your wedding, here. Grand Luxe offers its couples three rooms to choose from: the Ballroom, the Parlour and the Green Room. 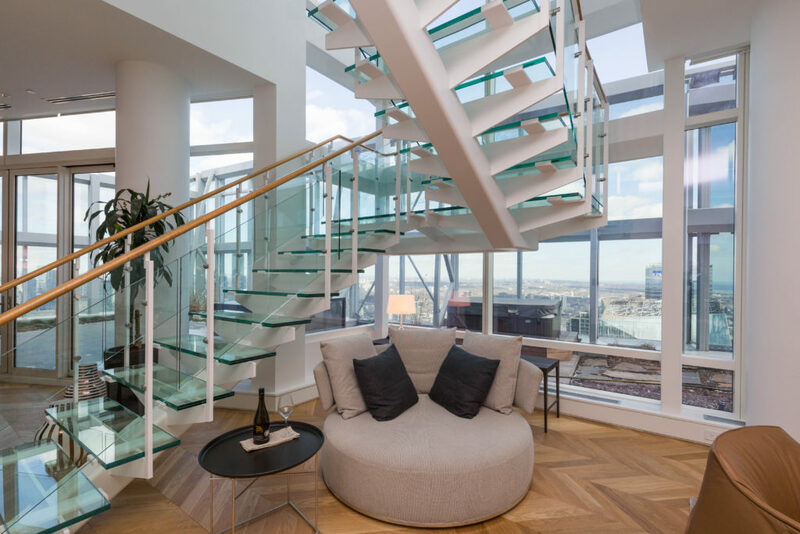 Because the space is exclusively dedicated to private events like weddings, the design makes it easy to host cocktails, seat your guests and have a dedicated room for touch ups, all under one roof. The thing that got us with the Grand Luxe was the 165 reviews that total up to a solid 4.5 star rating. 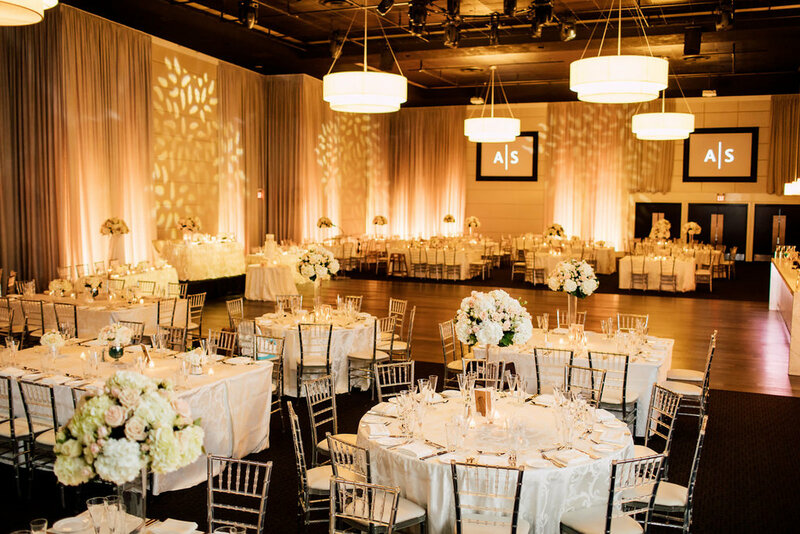 The venue can host over 600 guests and is known for its class and sophistication- a feat that can sometimes be hard to accomplish with such a large quantity, so kudos to them! Explore more of Grand Luxe for your wedding, here. With room for about 1,500 people for a reception event, The Carlu is one of the top picks for big gatherings around the city. 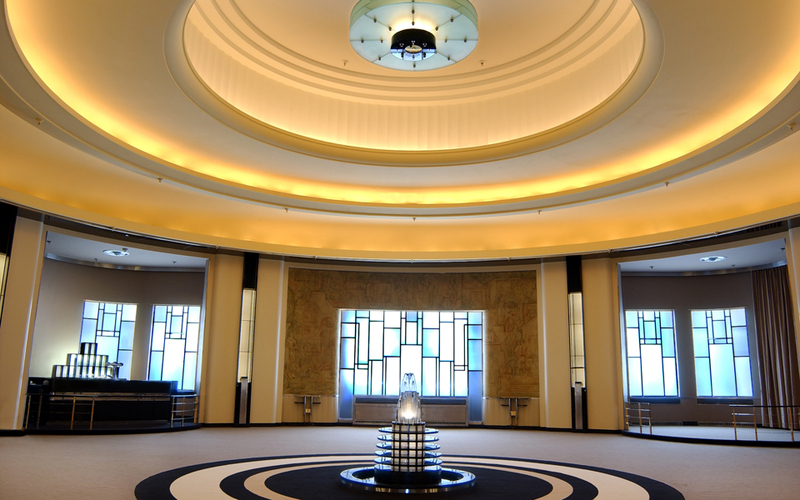 This historic event space was designed back in the 30s by a French architecture who went above and beyond to bring both beauty and function to the venue. If your and your partner appreciate an in-vogue type of atmosphere, you might have met your match. Perhaps one of the most fascinating things about The Carlu is the contrast between its prime city location and its stylish interiors that still pay ode to their 1930’s beginnings. Explore more of The Carlu for your wedding, here. As the years roll, we continue to see a surge in brides and grooms looking for a little something different for their big day. And the Indian community is no exception. Here are two unique wedding venues to impress your guests with originality and personality. Imagine this: Your guests approach the location of your wedding. But they’re not sure, is this it? They marvel at the beautiful architecture, it’s clearly a building of character and grandeur. Then, they see it. A huge marquee sign hung from the front of the venue, like a vintage movie theatre, with the name of you and your husband. They know they’re in the right place. Eglington Grand is a historical landmark. Once a theatre from the 30’s, the venue has been restored to its original design to give guests an experience like no other. 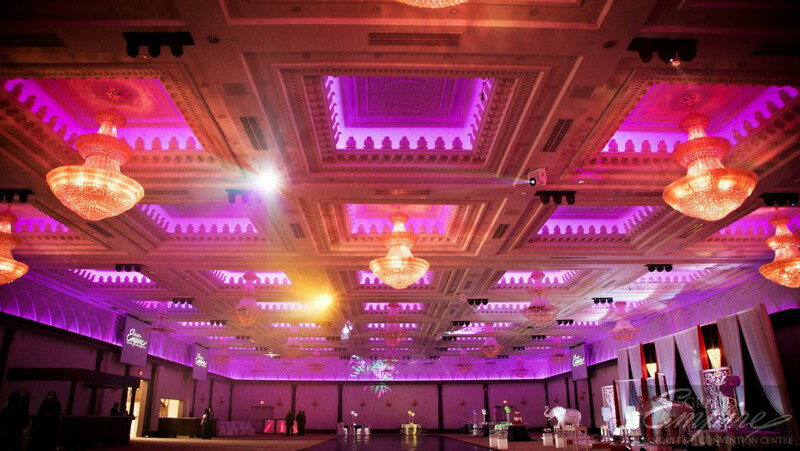 The venue itself is wildly popular for weddings because it boasts everything from Hollywood (or Bollywood!) glamour, to photo-booths and the red carpet. 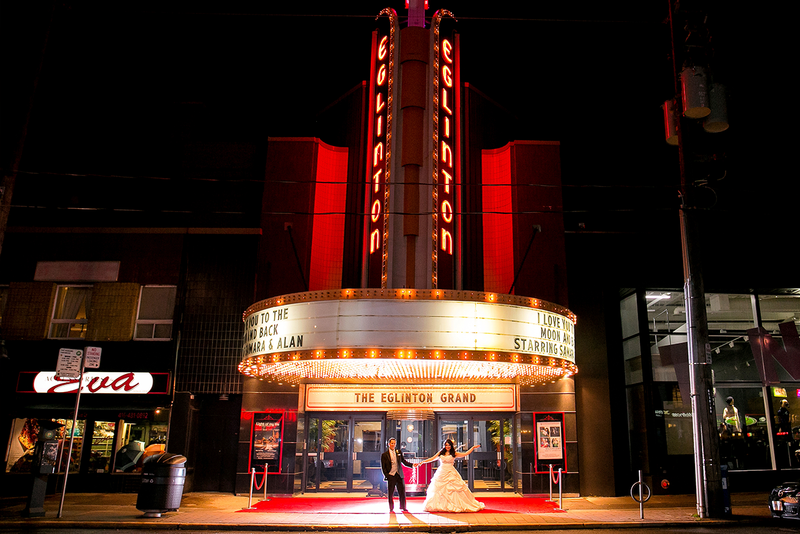 Explore more of the Eglington Grand for your wedding, here. It’s not everyday you come across a venue that attracts over a million people yearly and is also open to hosting your wedding guests. But count your lucky stars, because the ROM does that and then some. The Royal Ontario Museum is the largest museum in Canada and it so effortlessly balances displays of fine art, dinosaur fossils and exhibitions of world culture. This fascinating venue isn’t just marvellous to look at, it’s also huge. 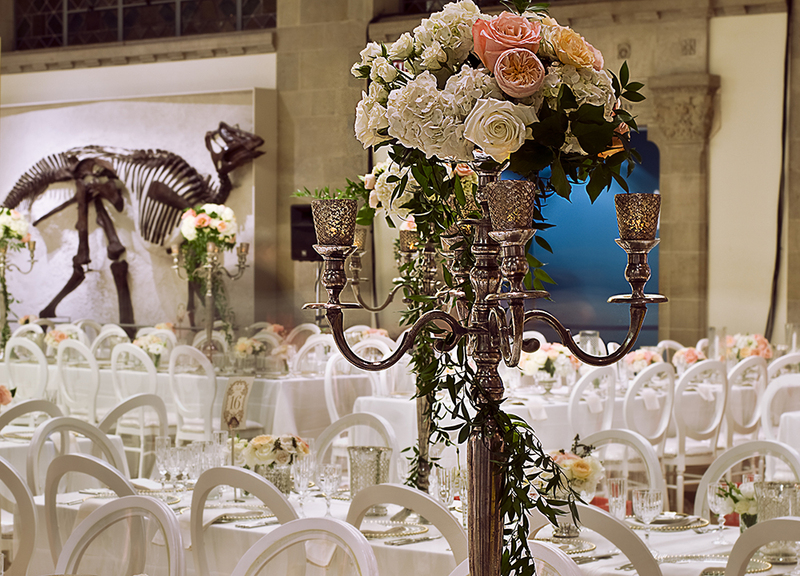 Hosting up to 2,000 people, the ROM is well-equipped to handle the wedding of your dreams. It’s modern exterior goes well with its surroundings in the heart of Toronto so your guests can enjoy everything the area has to offer. Explore more of the Royal Ontario Museum for your wedding, here. Okay, sure, Toronto may not be a tropical location that has bikini-weather all year long, but it sure as heck does have a great Spring to Fall season that’s pretty good for outdoor weddings. Keep reading for two venues that are perfectly scenic for your outdoor wedding. This isn’t just one beautiful garden- the venue is a compilation of four acres of 17 themed gardens, making it the perfect space for anyone dreaming of a wedding among nature. On designated summer days, you can enjoy a selection of things like dining in the garden cafe, enjoying the fruits of an organic farmers’ market or free outdoor music series. Now, if that’s your average summer day (with free admission, I should add), imagine just how awe-inspiring your wedding would be at this incredible location! The oasis offers private areas for weddings to take place, and I can only imagine how absolutely scenic those photos must be. 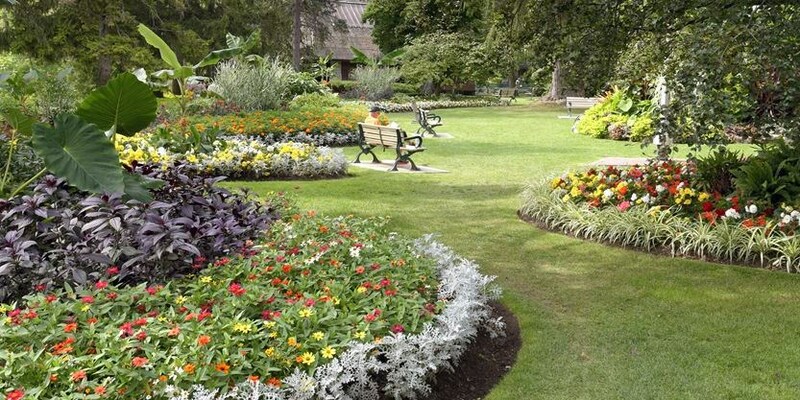 Explore more of the Toronto Botanical Gardens for your wedding, here. Have you heard of the Toronto Islands? If you’re a resident, you’ve probably been, and if you’re a tourist, you’ve probably been as well. The Toronto Islands (a chain of small islands in Lake Ontario) are the summer home of the Royal Canadian Yacht Club- one of the world’s oldest and largest yacht clubs. So, whether you and your partner are yacht enthusiasts, or just appreciate the yacht-lifestyle, this could be where you host your own magical wedding. You’ll have the unique pleasure of overlooking the Toronto skyline (which is notably gorgeous), while the clubhouse hosts your guests to a timeless experience. 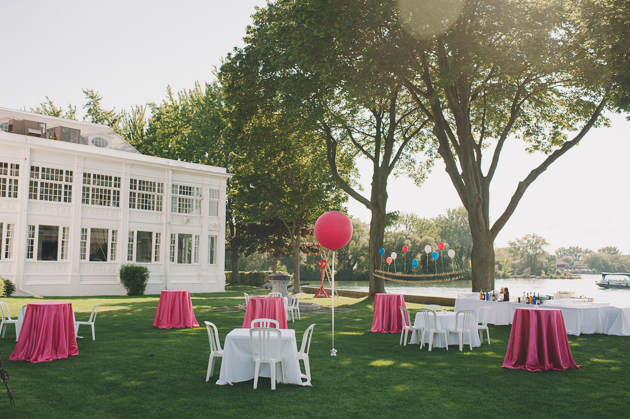 Explore more of the Royal Canadian Yacht Club for your wedding, here. And there you have it, we hope we were able to inspire you, help you, or do both! Toronto really is an incredible city and we’re sure your wedding will be one for the books. As always, for tips throughout your wedding experience, follow us on Instagram, Facebook and Snapchat. P.S. Pass it on! Send this article to a friend in need.